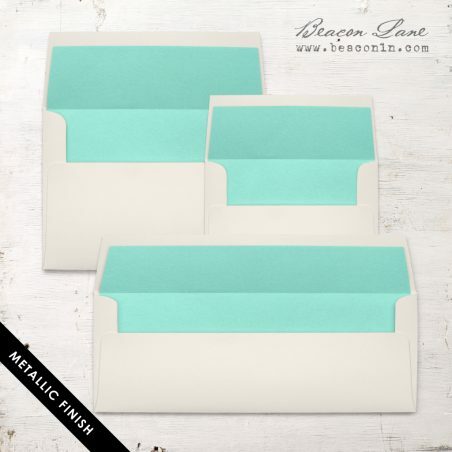 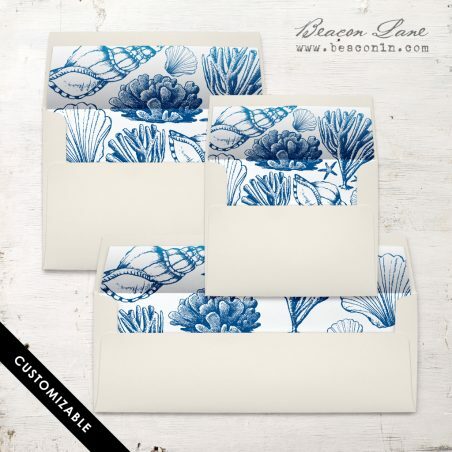 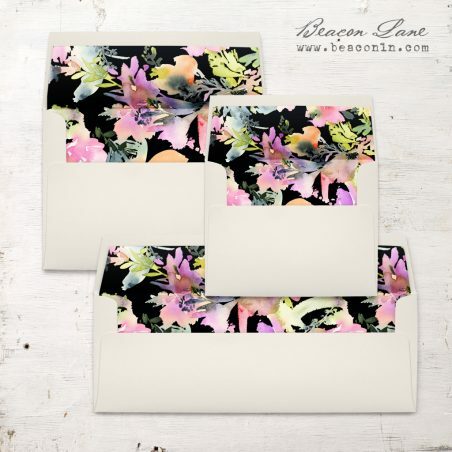 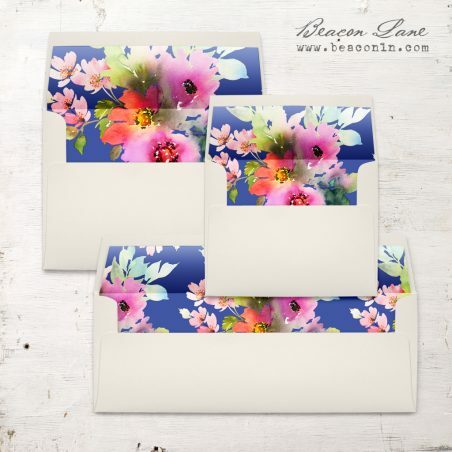 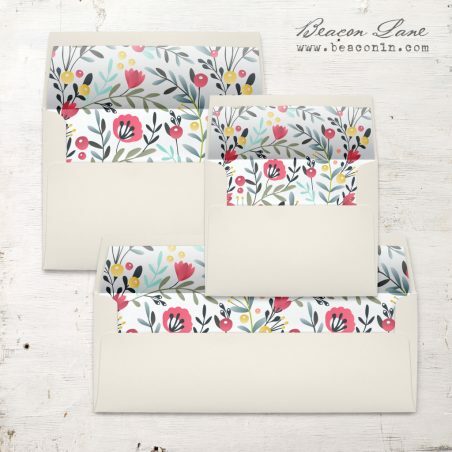 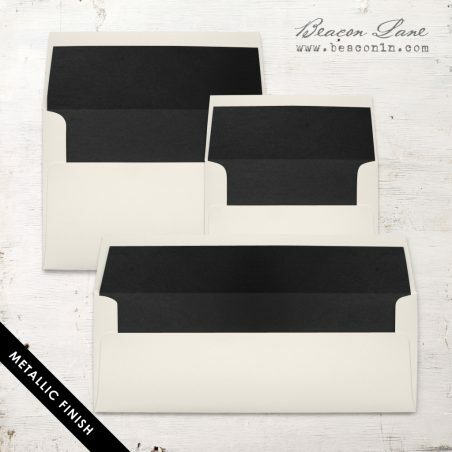 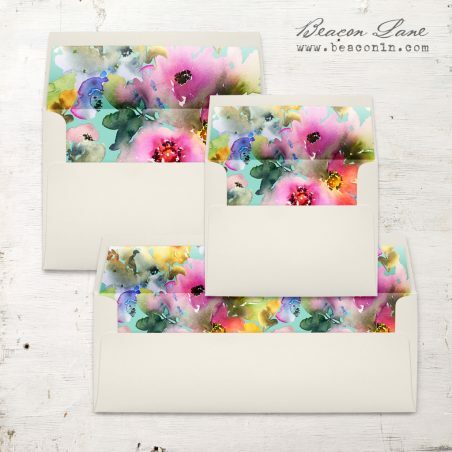 Get ready for some envelope pretty! 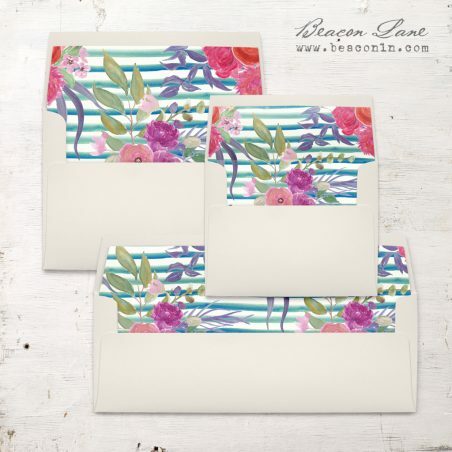 Floral, tropical, cactus, geometric patterned envelope liners. 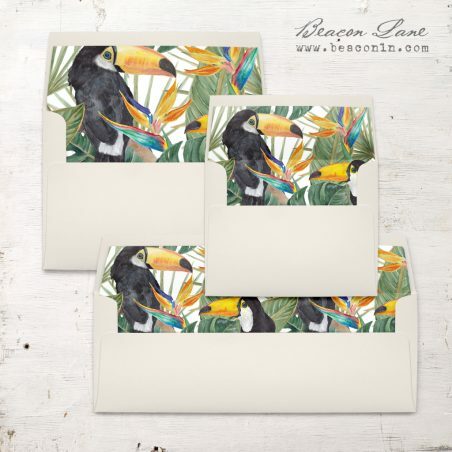 Digitally printed on the paper of your choice, we hand cut and then assemble each A7, A2 or #10 envelope liner in each envelope. 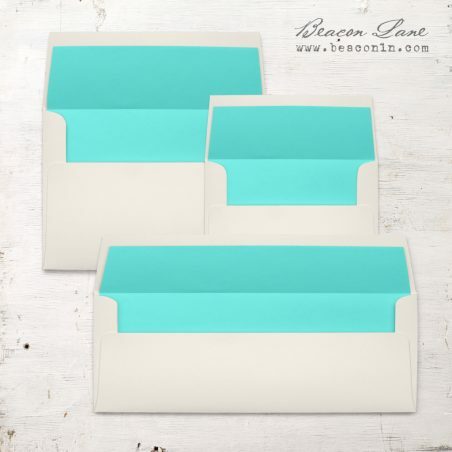 No messy glue strips or at home assembly needed – all the work will be done for you! 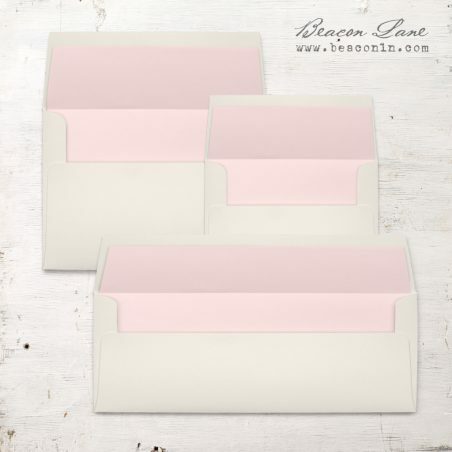 Then, complete the look with guest and or return address printing in the font style and ink color of your choice. Looking for a specific liner? 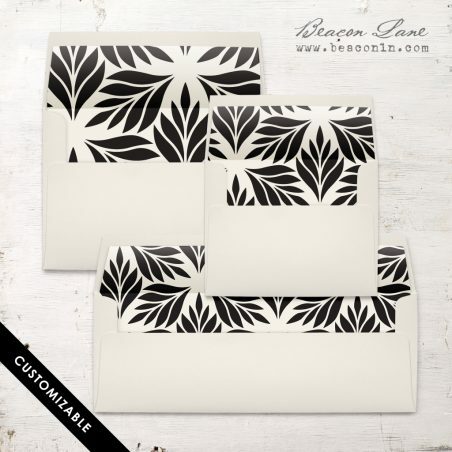 Custom liners available for an additional fee. 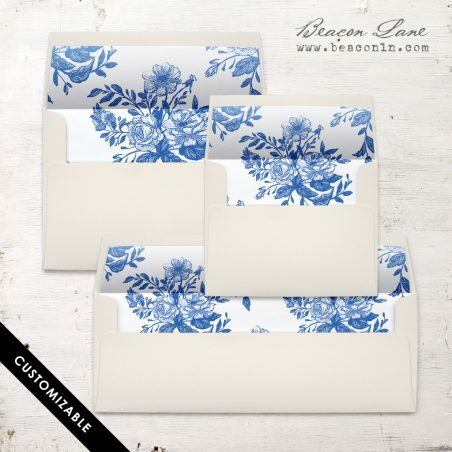 Inquire for more.